Is there something in your life that you’re working towards, but you notice resistance in getting there? October’s Self-Love Diet Writing Prompt is focusing on Taking That One Next Step. That one next step can be a physical action. For example, I redesigned the Love Warrior Community website recently, and yesterday my goal was to finish the entire website. That was not a realistic goal, nor was it a single step. My one next step would be to finish updating the formatting for one body forgiveness post. I have had to reformat all of the content since I changed the design of the website. I finished reformatting all of the video posts, all of the music posts, all of the photo posts and galleries, all of the art posts and galleries, and all of the poetry, short fiction and body love letter posts. I’ve gone through most of the body forgiveness posts, but I haven’t finished all of them. Finishing the entire website, or finishing formatting a whole section of posts, that is not one step. That is a series of steps. My one next step is ONE actionable step with a clear cut beginning and end that I can see, and that I can take action on. When I made finishing the entire website my goal, I was setting myself up for stress, pressure, failure and disappointment. It was also hard for me to stay in the present moment and to enjoy what I was doing when I kept on thinking about everything else that needed to be done to complete the whole website. It was disheartening. When I make my goal realistic, a single next step – it helps me to stay in the present moment and to put all of my focus on that one next step. 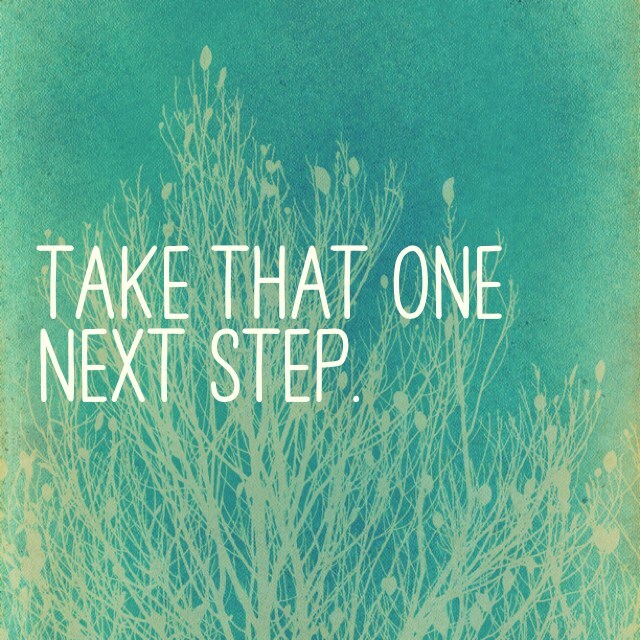 That one next step can also be an emotional or mental next step. I created a publication, The Human Experience (T.H.E. ), and I recently passed down my responsibilities to someone else so I could shift my focus to my need of creating a balanced life for myself. It’s hard for me to completely let go. I still notice that I’m putting my energy towards T.H.E. Throughout the week, I’ll still post to T.H.E. social media. I was in contact with someone for a few days who approached me about starting a blog for T.H.E. This is something that I’m struggling to let go of, and something that I want to and need to let go of. The more I let go, the more I see others step up. The one next step for me in this situation is to catch myself whenever I notice myself putting attention and focus back on T.H.E. Once I catch myself, my one next step will be to either let go of my thought, or if I can’t completely let go of my thought, then to share it with T.H.E. team and then let go of my desire to take action on it. Taking that one next step can also be an internal process. I’ve been noticing negative thoughts pop up in my head recently. One of them being that I am disappointed with where I am in my life right now and what I’m doing. Now that I’m aware of my discontent with where I am, that thought doesn’t do me any good to repeat it each day. That kind of negative focus only brings me down. My one next step in this case could be to apply the 5-step process to that thought pattern, which is to catch the thought, confront the thought, replace the thought, apologize to myself and commit to change. I’ve been noticing a lot of resistance in my life right now. Resistance towards letting go of things in my life that I enjoy or that I no longer enjoy, and that no longer serve my goal of a balanced life – and resistance towards letting go of negative thoughts and false beliefs that do not serve me. By letting my thoughts get stuck in the past or bogged down by the future, I’m creating this resistance. 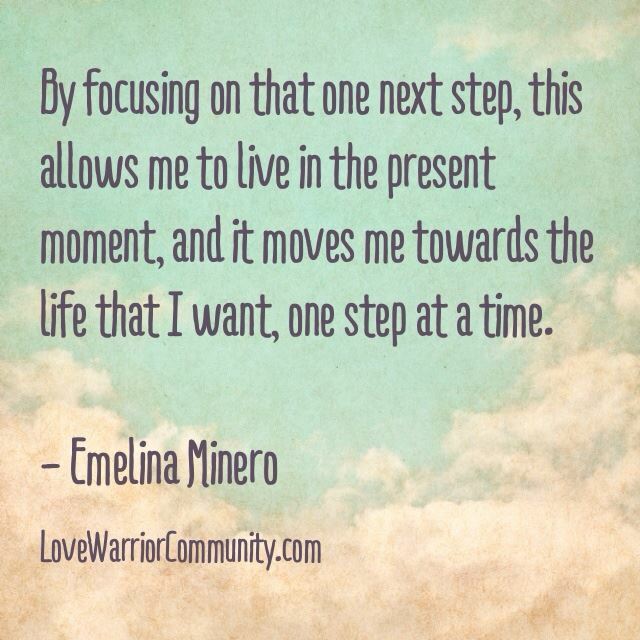 By focusing on that one next step, this allows me to live in the present moment, and it moves me towards the life that I want, one step at a time. For the month of October, we’re going to be focusing on that one next step. What is that one next step that you will take action on? Let us know. 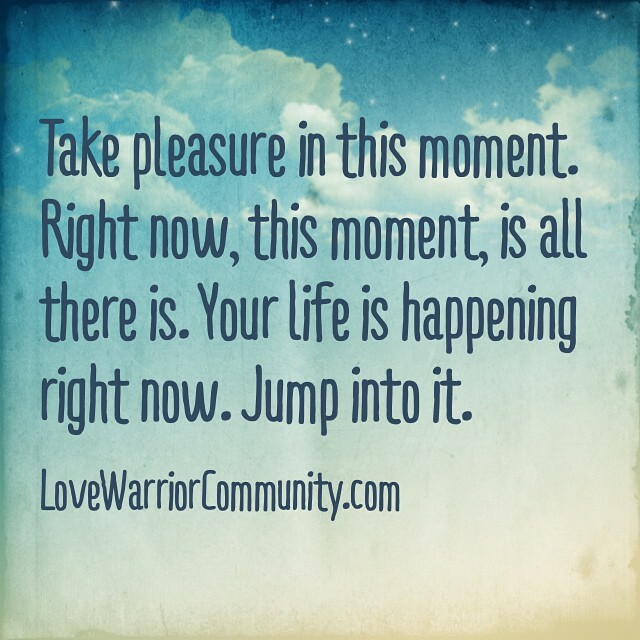 You can submit your writing to be published here on Self-Love Warrior by going here. You can also share your updates with us on the Self-Love Diet: The Only Diet That Works Facebook Page. I look forward to hearing about that one next step that you take, and the difference it makes in your life, one moment at a time. I'm passionate about people, community, self-love and the diversity in the human experience. Gallery | This entry was posted in Self-Love and tagged emelina minero, goal setting, going after your dreams, October Self-Love Diet Writing Prompt: Take That One Next Step, self-love, self-love diet, self-love warrior, self-love writing, self-love writing prompts, setting goals, taking action, taking action on the life you want. Bookmark the permalink. I love this prompt for October, and I love you! Thanks Emelina for spear heading this inspiring focus for October. This is the Love Warrior Community’s October Self-Love Diet writing prompt, and infused in it is my own experiences relating to the prompt.